If you have been following my blog long enough, you probably know that I am a HUGE fan of Walt Disney World. I have been there so many times over my life that I can not keep track. (Mom and Dad were not too helpful either.) I actually opted to take a family vacation to Disney World last May in lieu of going to BlogHer ’09 in Chicago. The deals were just too good to be true and the timing was right for us. I sat and watched as BlogHer ’09 came and went. Then, everyone was talking about TypeAMom while I sat at home. 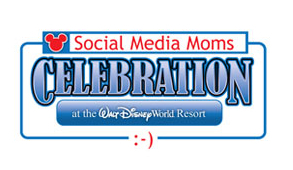 This week, I heard rumbles about a Social Media Mom Celebration that was going to take place at Walt Disney World. HELLO!!!! Could anything be more perfect for me as a first time conference? I think not! 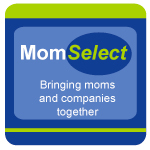 For more information, please head over to the fabulous post on 5 Minutes for Mom. TechyDad and I talked about it as I waited for my invitation to arrive. Thursday afternoon it came. Without looking back, I booked the event. That night, we decided to extend our stay at Disney. Why not, right? We’re already paying for the airfare and who knows when we may get another chance to spend time in Orlando. By Thursday evening, I had plane tickets for all four of us and we were trying to get quotes on hotel/tickets/dining for the rest of the week. Friday, the little guy and I went to a travel agent and I put in a call for quotes from AAA. This morning, TechyDad and I tried out the new (for us anyway) online Disney advanced dining reservation system. Even with short notice, we were able to get some very nice Table Service meals. One favorite from our trip in May and a few new places for dinner and character breakfasts. Once those were made, we went back and booked the rest of the lodging/dining/park admission. In 24 hours the hotel booked up the standard room, so we had to go premium. Not thrilled about that, but we love Pop Century. As I sit here sipping some decaf coffee, I am in disbelief. This is so unlike us to plan and go someplace so quickly. Still, as you will read on the 5 Minutes for Mom website, it was too good to pass up. TechyDad and I are looking forward not only to Disney World, but also meeting in person so many people that we have "met" online over the last 3 years. Another interesting item to note, my 3 year Blogoversary is days before we leave for this trip. Hmmm. . . perhaps that is what I should say I’m celebrating while visiting. 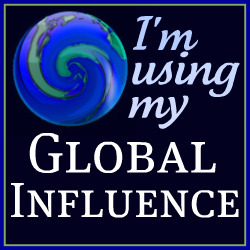 Now I am going to relax for a few days as more details come in about the #DisneySMMoms event. Then I will try to figure out what we need to pack for the trip. I have been to Disney a lot, but have never been in February before. This is all new to me. So in advance, I apologize if Disney is on my brain a little too much, but well I’m a kid at heart and can not wait! P.S. Is it bad that I never finished blogging about our trip in May? Guess I may have to finish some of that up, especially JSL’s actual 2nd B-day while we were there. Disclosure: Our family was provided with a discounted price for the days of the actual event. The additional days for our surprise Disney vacation were purchased at our own cost since we are long time Disney fans. All opinions about this event are my own and are not influenced by monetary compensation. I am so jealous. How much fun! My kids have been saving pop tabs for over 2 years to be able to go to disney. We don’t drink a whole awful lot of canned soda in our house so it is a very slow process. They have a spaghetti sauce jar full so far. I have never been so hopefully we will be able to go soon. Have a great time can’t wait to see the pictures! .-= blueviolet´s last blog ..Please Nicole, I Need You to Stop =-. Just stopping by via 5M4M. I saw that your coming to this and thought I’d stop by..
We live only an hour away from Disney World and I couldn’t wait to sign up for this. Looks like it is going to be a lot of fun! .-= Mikki´s last blog ..Who is Me? =-. So what restaurants did you book? Dying to know! .-= Nancy´s last blog ..WW: Bubble =-. That’s awesome! I can’t wait to read more about this trip. I loved your breakdowns of each day last year!